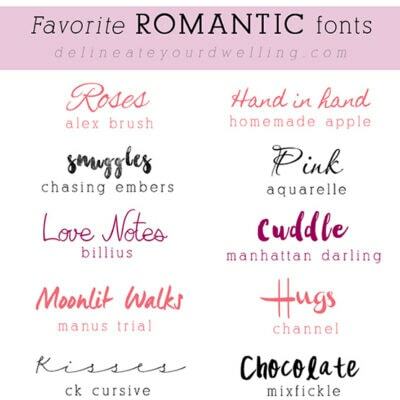 I am not sure about you, but I love fonts! I could download new ones all day long. 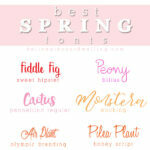 I’ve started a seasonal font share of some of my favorite FREE fonts. 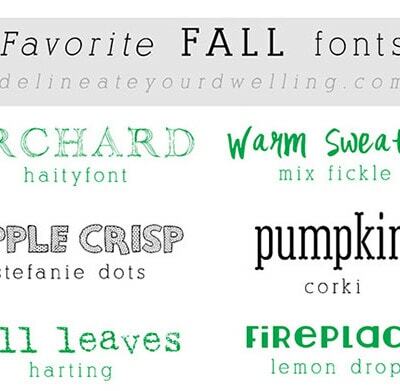 I’ve already created a Favorite Summer fonts post and a Favorite Fall Font post. 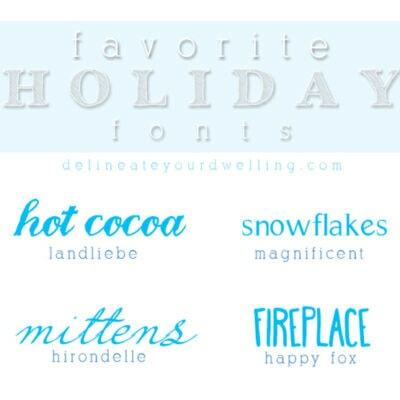 Today I will be sharing My Favorite Holiday fonts with you. 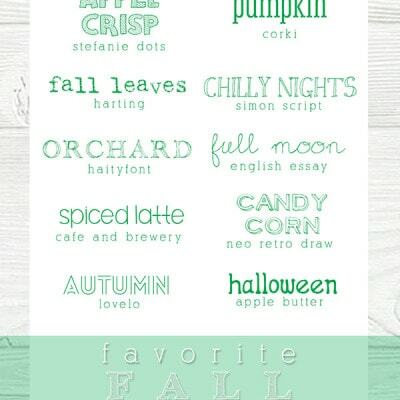 Download all the fonts below for FREE! 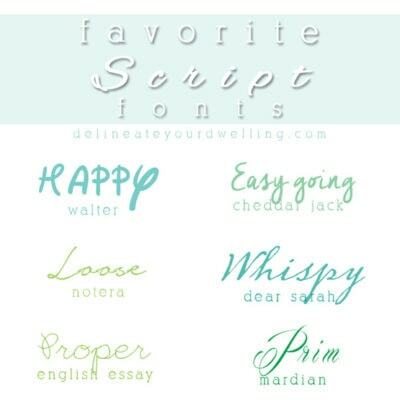 What are your favorite fonts? Be sure to share them because I’m always looking for new ones! Be sure to sign up for my DYD Free graphic printable group for more fun like this. 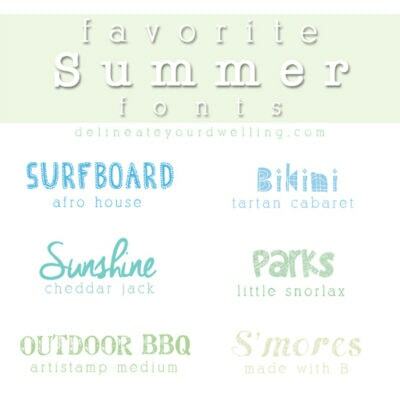 I am totally addicted to free fonts, too! They make projects so much fun! I can’t wait to start making some Christmas printables–thanks for the inspiration Amy! Your garlands are so cute!! 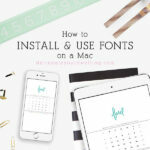 And yep, I’m right there with you…total font nerd. I’m not very savvy at downloading them though. I’m sure it’s sooo easy but I’ve just never sat down to figure it out. I know, I’m so bad! Laura, take the two minutes to figure out the fonts!! You’ll be so happy you did!! 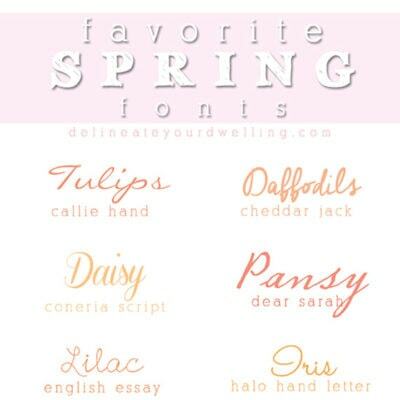 I’m crazy about fonts! Pinning this for later! 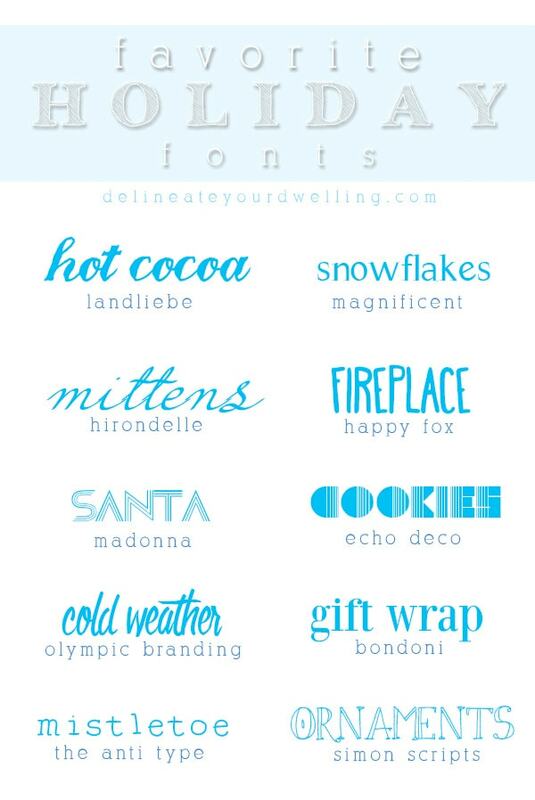 Love these festive fonts – especially the anti type. Thanks for sharing! My pleasure, Maritza! Thanks for stoping by. I’m right there with ya! I love fonts. I seriously have spent hours browsing fonts online and downloading them, trying them out in different ways…endless entertainment for me!